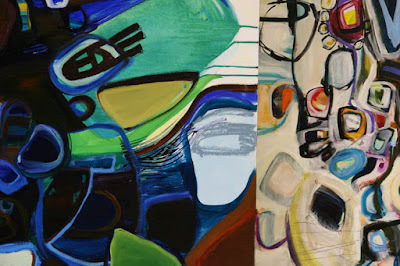 Eat Drink Paint • Kim Rempel: Toronto Outdoor Art Expo THIS weekend! 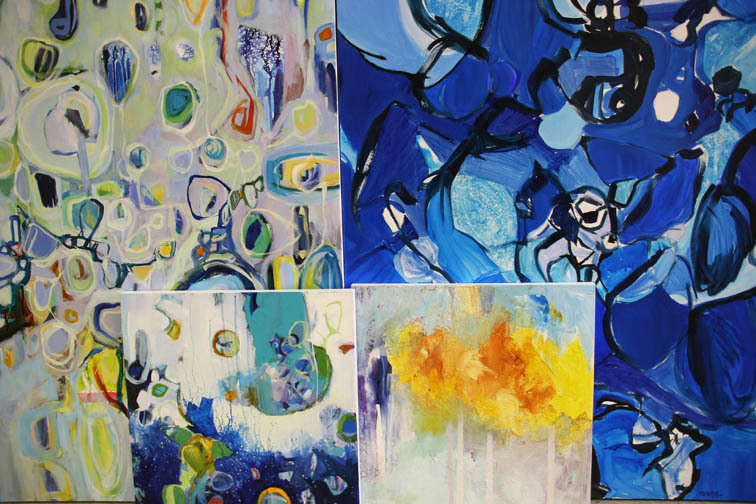 Toronto Outdoor Art Expo THIS weekend! Hello! 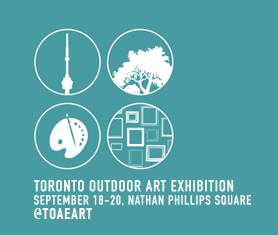 I'd like to invite you to the Toronto Outdoor Art Expo at Nathan Phillips Square this weekend! 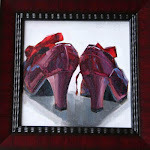 I've been working away preparing and am almost ready. 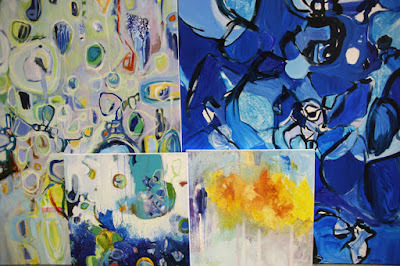 Today I was grouping my paintings together for booth placement and took a couple of snaps. These are a few of the pieces that will be available. The show runs from Friday September 18th to Sunday September 20th, 10:30-6:30 all three days. I am booth H25 on the corner of the fountain on Queen and Bay. A section of (l-r, back to front) Sea Glass, Blue is the new blue, Plunge, and Shift. A section of Totem and Road Trip. Comme j'aimerais pouvoir venir vous rendre visite et admirer votre travail. Je suis certaine que vos oeuvres attireront un grand nombre de visiteurs. you've been working super hard. Scenes from the Toronto Outdoor Art Expo. Part 1.